(Dance) Notation Series is both an online and a real life platform to exchange issues and projects on dance notation. It is the result of a growing collaboration with the Art Practice and Development research group of Marijke Hoogenboom at the Amsterdam School of the Arts and other international partners. It will continue to explore the objectives and results that were generated during the Inside Movement Knowledge project, the interdisciplinary research into new methods for the documentation, transmission and preservation of contemporary choreographic and dance knowledge. Just as the Inside Movement Knowledge project, the (Dance) Notation Series will operate within a variety of disciplines and approaches. (Dance) Notation Series is an initiative of ICKamsterdam and the Art Practice and Development research group of Marijke Hoogenboom, Amsterdam School of the Arts (AHK). What kind of knowledge is being generated in dance research? Which questions will the researcher be dealing with? 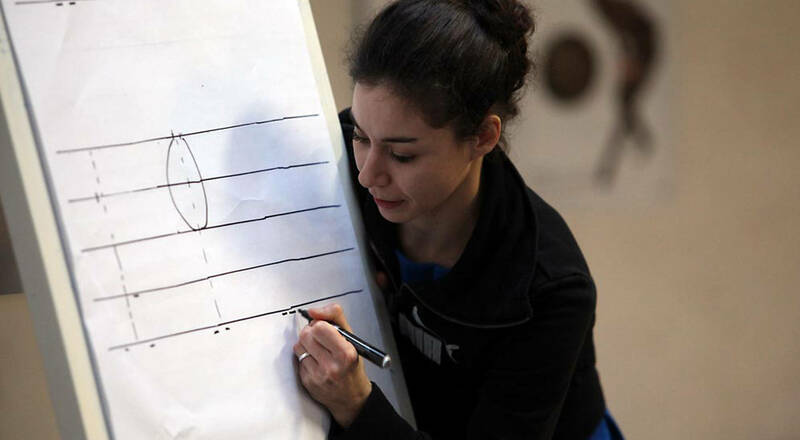 Notation Series is an initiative to exchange issues and projects dealing with a broad idea of Dance Notation. Here analysis, re-presentation, preservation, re-enactment and re-interpretation go together with the creation of documents. Scores, interaction, writing, reading, re-enactment, systems and models, artistic questions and multimedia environments have been welcomed themes during the past encounters. Being the result of a growing collaboration with the Art Practice and development Research Group of Marijke Hoogenboom at the Amsterdam School of the Arts and other inter-national partners, Notation Series makes use of different formats of gatherings between interdisciplinary groups of researchers, scholars and artists. Notation Series continues to explore relevant issues on new methods of documentation, on transmission and preservation of performing arts. 2 Dance Research within Education.